I am currently editing UNFINISHED BUSINESS IN PARIS — my fifth novel and a sequel to THE BLUE AMULET. Set 18 years later, Luc is now a student at the American University in Paris; Manos is set to be released from the prison outside of Paris where he has been incarcerated for years. Will the two connect? I was three years old when I was kidnapped. That was fifteen years ago. My name is Luc Zennelli. My stepfather, Mark Zennelli, was killed in the World Trade Center attack in New York City on September 11, 2001. I don’t remember him. I am told he loved me very much. In 2002, I met my biological father, Charles-Christian Gérard. It’s a long story. He is a doctor. We get along well enough. He has always insisted that I keep my American name, even though I asked many times why I couldn’t have his. I think he and my mother didn’t want me to forget Mark. My mother’s grandfather, Diamanté Loupré, came from Corsica. His family had a long history of what they referred to as “the vendetta.” Apparently, all his life he was haunted by something he had done when he was younger, evidently having something to do with the feud. I was kidnapped when he was an old man. Was my abduction related to that? I don’t know for sure, but I have always assumed so. All I was told afterwards, when I had nightmares, was that the mean man who had taken me would never hurt me again, that he was in prison. I learned along the way that the kidnapper’s name was Nicolos Manos. He shot my grandfather and took me into the woods. I remember being terrorized until my father arrived. Other than the helicopter ride afterward, I don’t recall anything more about the incident. A child’s memory is unreliable at best. Meanwhile, I have begun a new story. Working title: AVENUE MOZART. I am returning to the aftermath of World War II with a historical romance set in Paris in 1950. The international film industry is a cutthroat business, but Adriana Zennelli will go up against a killer who takes that expression very literally. Adriana has a thriving law practice in Laguna Beach, California. When influential businesswoman Sophie Chen calls her to a meeting halfway around the world in Strasbourg, France, she can hardly say no. Adriana is tasked with settling a dispute between Sophie and Adriana’s father, influential film producer Romano Zennelli. The origin of their conflict is a new property, The Heat of the Desert Wind. 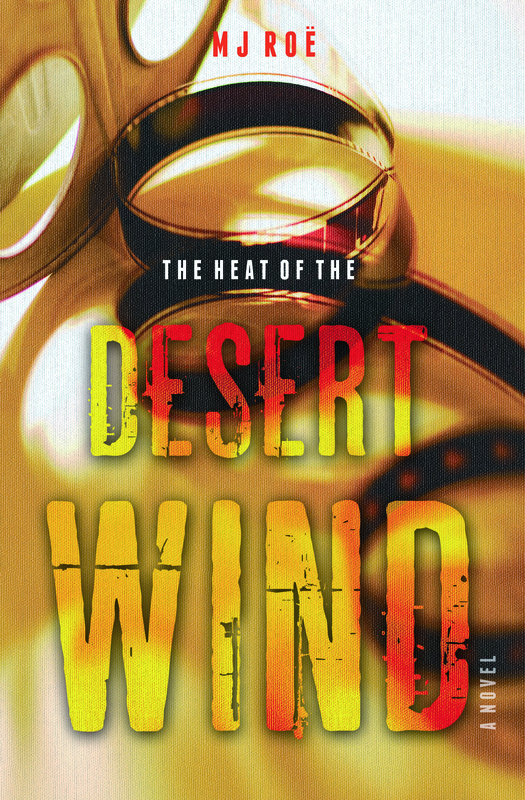 The French film, titled The Heat of the Desert Wind, is a lifeless, lengthy saga directed by a self-aggrandizing egomaniac. Romano refuses to distribute it in the United States without extensive editing. The director, Godeau, claims Romano is trying to kill his vision. Threats to her father’s professional career aren’t what have Adriana so on edge though. Several of the film’s investors have died under mysterious circumstances. When another body turns up at the famous Cannes Film Festival, Adriana knows that she’s on the trail of a cold-blooded killer. Her inquiries will take her all across France and unearth a tangled web of lies, greed, and betrayal. The Seven Turns of the Snail’s Shell, The Blue Amulet, and As Darker Grow the Shadows, form a trilogy of books by Mj Roë. IMPORTANT NOTE: PRICES REDUCED ON ALL THREE! CHECK ON AMAZON! The first, The Seven Turns of the Snail’s Shell, was published in 2009 and is a romantic adventure filled with suspense. The story takes place primarily in Paris in the late 1990s. It follows Anna, an American writer, and her French lover who has a Corsican connection. 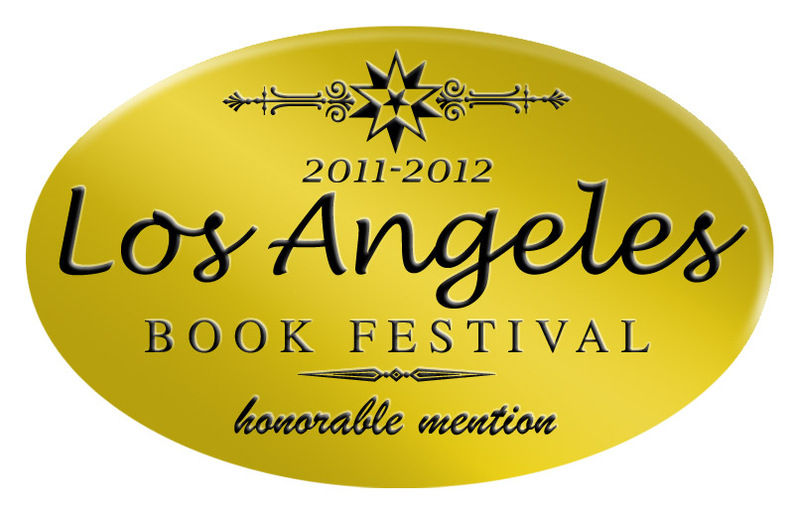 The novel won awards at both the Paris and Los Angeles Book Festivals in 2010. I wasn’t sure what to expect when I picked up this book. But it sure wasn’t what I found. This is far more than a frilly love story, this is a blast of culture with all sorts of twists and turns that leave the reader almost dizzy, but in a good way. If nothing else, this would make excellent assigned-reading for a French Culture Course. Perhaps more than anything else, this story is driven by the hopes and dreams of a young woman. Anna is a complicated creature, as are we all, and this makes her such an endearing character to follow. Her thoughts, her insights, her feelings, all are laid bare for the reader to study, to empathize, sympathize, love, hate, what have you. And let’s not forget CC, the heartthrob doctor tossed into the middle of a truly bizarre chain of events that will change his life, and the lives of those around him, forever. CC is not the poster-boy for the studly and lovable man one might find in cookie cutter romance. In fact, he’s sometimes a jerk, selfish, uncertain, and although these might turn the reader off to him, instead, it makes him inimitably human, someone real, flawed, but with the capacity for tenderness and a man with an ocean of passion. But a dark ribbon runs through this cheery story, one of suspense, old grudges, mystery, and conspiracy. These are compelling drivers of the plot, forcing the two protagonists together and shaping their lives in ways that keep the reader guessing right up until the end. And ESPECIALLY the end. Roë brings us to the brink, and the brink is where we finish. The second novel in the trilogy titled The Blue Amulet was published in 2012. It is a love story with an intriguing thriller twist set against the scintillating Mediterranean landscape of southern France. 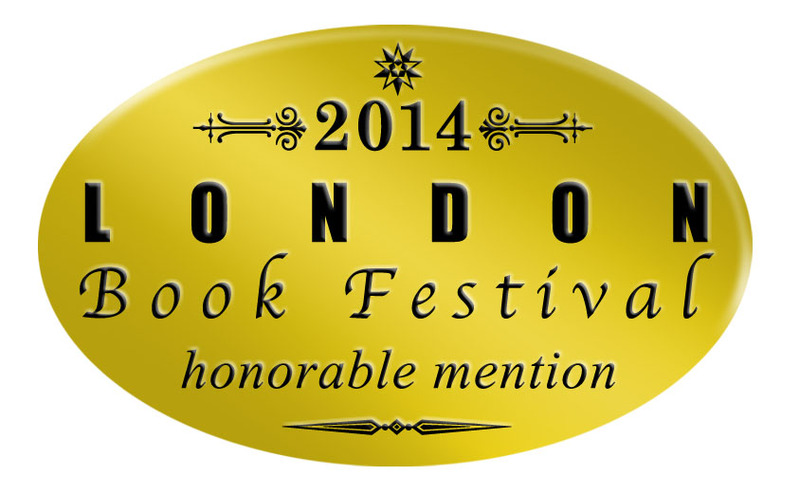 The Blue Amulet placed runner up at the 2013 Los Angeles Book Festival. After reading Roë’s debut novel The Seven Turns of the Snail Shell I was massively surprised when I started The Blue Amulet. This is no romance novel, it’s a wild ride from start to finish. The love story that seems to be coming along at the beginning soon gives way to a darker tale of blood feuds and danger. This book is a page-turner that grips you from the get-go. I can’t remember the last time I read a book so quickly. It pulls the reader along into a winding, suspenseful narrative with ease. As with her previous work, Roë douses the readers with a heavy, healthy dose of culture. 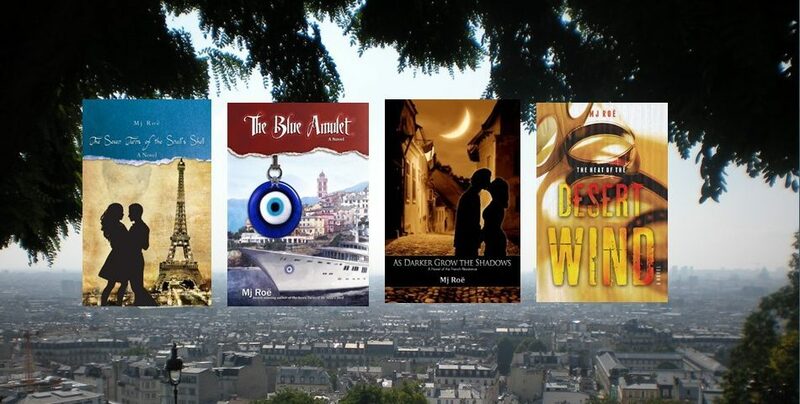 There is so much to learn about the island of Corsica and its inhabitants, and if one ever wanted to learn about this place, The Blue Amulet is a great introduction into the rich culture that dominates the lives of those who not only reside there, but come to visit. Anna and CC return in this sequel to Roë’s original novel, and are just as, if not more, engaging than before. Anna, full of sorrow, conflicted, distraught, has to make decision after decision about what is right for her and her new family. CC, worn-down, hopeful, determined, must seek to salvage both his relationship with Anna and the danger that surrounds them both. This is a hard book to put down. With every twist and turn of events the reader is left wanting more, wanting to know what is around the next bend. Roë wonderfully executes a brilliant thriller that sails through every expectation with flying colors. The third book in the trilogy, As Darker Grow the Shadows – A Novel of the French Resistance, was published in 2014. The story begins in 1939 as France is bracing for war. Diamanté, who ties the other characters and stories together in all three novels, leaves his native Corsica to join his brother in Marseilles, and the two are soon drawn into the clandestine activities of the French Resistance. It is a story of the remarkable spirit of a young man coming of age amid the agony of war. 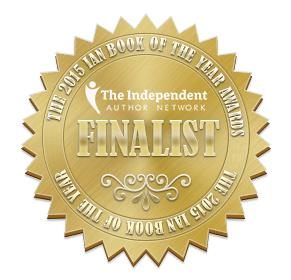 As Darker Grow the Shadows received Honorable Mention at the 2014 London Book Festival and was a finalist in Historical Fiction at the 2015 IAN Book of the Year Awards. I loved this book! As Darker Grow the Shadows is truly original in its depiction of the French Resistance–its love stories, its battle scenes, its characters, and its settings never veer into the melodramatic, overdone, or derivative. The characters feel very real–conflicted, damaged, imperfect, and yet they soldier on. Click on “BOOKS” on the menu above to read more and order. Merci! for visiting this website!